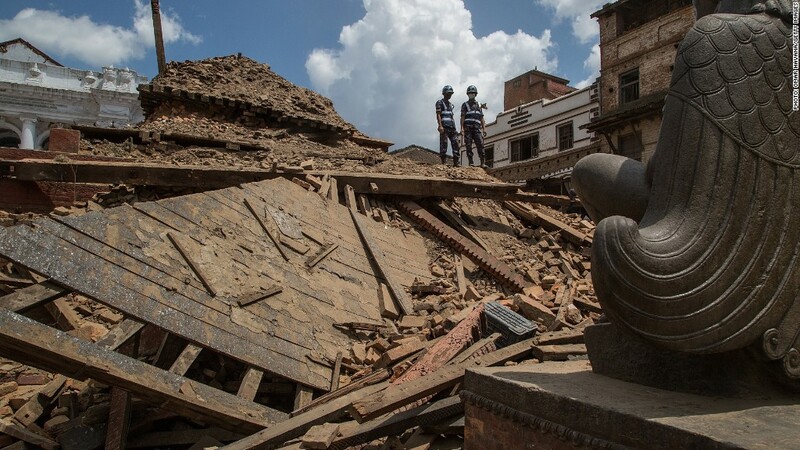 After surviving the devastating earthquake that hit Nepal on Saturday, Lokesh Todi immediately turned his attention to helping its victims. Todi, 28, who moved back to Kathmandu last year after earning his MBA at Yale University, and his cousin, Aditya, 22, quickly launched a fundraising effort at indiegogo.com to raise money for local aid organizations, and to buy much-needed food and medical supplies. After having the opportunity to work and study abroad, the cousins wanted to tap into their networks to help funnel funds from outside Nepal to local groups that will support the country's long-term recovery. "Local NGOs often don't have the ability or the connections to raise funds abroad, [but] they will [still] be on the ground when a lot of people who come temporarily to the country will be leaving," Todi said. "We want to make sure that the NGOs that will be here for a long time will get the money." The cousins reached their $20,000 fundraising goal very quickly, and have increased their target to $75,000. So far, they've already raised over $70,000. That kind of money can go a long way in Nepal, Todi said, where just $1 can buy at least three big meals. Todi has already identified areas to channel money based on what he learned in a course on managing global catastrophes at Yale, where he studied the aftermath of the 2010 Haiti earthquake: organizations focused on children, women and sanitation issues. Childcare and education will be important for long-term rebuilding, as "a lot of children will have lost their parents," Todi said. He's also seeking organizations that will help women become self-sufficient after losing family, for example, by taking over their family's farming land. Agriculture is dominant in Nepal -- about 70% of the population earns a living from farming, and the industry makes up a little more than one-third of the economy. Todi expects sanitation to be a long, uphill battle, since potable water is already scarce, and diseases could pose a risk. Even building more bathrooms could have a positive effect, he said. Funds from the indiegogo campaign could take another week or two to arrive in Nepal, and Todi has arranged for them to be received by Global Shapers, a network of young leaders he is part of, organized by the World Economic Forum. But he's already collected some cash donations in-person or via bank transfer, which he used yesterday to buy food supplies -- lentils, cooking oil, instant noodles, salt -- for distribution. He has spent hours roaming the city, taking photographs that will be used to raise awareness on social media. And he's also vetting local NGOs to see which ones could make most use out of the donated funds. While the death toll continues to rise, Todi feels lucky that his family's home is still standing. "But if you walk around the city, it's pretty bad -- a lot of people have lost their homes ... heritage sites have either been damaged or vanished in rubble," he said. "It does strike you, and you feel a sense of loss -- it's hard to describe."